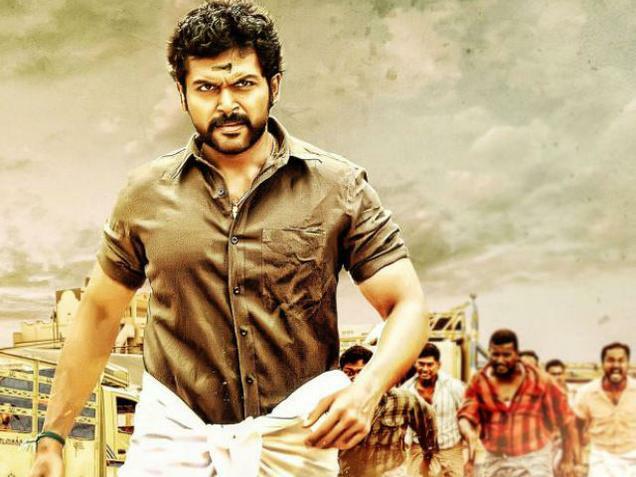 Latest Tamil movie Komban has received a decent opening on Thursday in spite of releasing one day before. This favored the film as today which would have its second day now it is getting more response due to third day being Saturday and one more additional day of Sunday as main weekend day. Though film was not too much hyped or awaited but it did performed accordingly and nice fulfilling the expectations of the audience. Seeing the third day report of Komban we can say that audience has welcomed this film with positive reviews and feedback but not too strong like a super hit biggie. It made a good and satisfactory business last two days and today also the film earned decent income on box office by reporting a good growth in the occupancy due to Saturday. As the box office screens are empty with only one film so the people were free with choice and went to theatres contributing in increment in the overall trade. On the basis of first three days performance of the film, it seems that the film makers are going to have a satisfactory feeling with the total lifetime income of the film. Today being Saturday the film reported increased public response for the shows especially the evening shows proved beneficial. Saturday i.e. third day collection of Komban is around 3 crores*. First three days have passed now and the report reveals that tomorrow the film will be having highest occupancy and income due to Sunday being a public holiday all over the parts. Audience bit attitude towards the Hollywood film might become a reason of slight distraction for south Indian viewers tomorrow.